Where are produced your dolls and sculptures ? 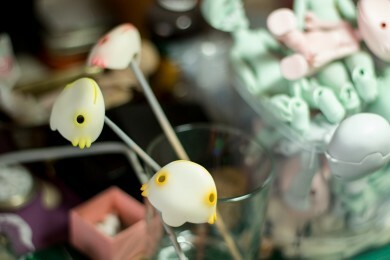 All my sculptures and dolls prototypes are produced at home. At the moment, i don’t have proper workshop, so i work on my desk or in my kitchen. How long does it take to make a doll or a creature ? It really depends ! For a unique creature, it can take hours or days, or even weeks of work. It depends on the size, the level of details you want to make, the drying time… Between the idea, the sketch, the sclupting work, the make up, the packaging… it can vary a lot. For a bjd doll, it’s also different, even it’s longer maybe. For exemple, before i can make molds for my Bactro doll, i had to work on her body and head during a whole year. First, you have to find an idea, to design your doll, then make the sculpting work, sand the prototype, put coat on it, sand again (several times), make molds, and finally make resin casting that gives you raw parts that you have to clean, sand, drill, assemble and make up. And you don’t have to forget the packaging. So, it’s a very consuming time process. Where did you learn to make dolls and creatures ? What materials do you use for your creations ? For bjds dolls and some of my creatures, i use polyurethan resin with uv protection and colored pigments. For the rest of my work, i principaly use Ladoll, magic sculp and prosculp. For the make ups, i’m working with acrylics, watercolors, soft pastel, coloured pencils and Citadelle Purity Seal Varnish. Where do you buy your materials ? I buy my resin stuff on Artificina (french site), or on ebay or Etsy. 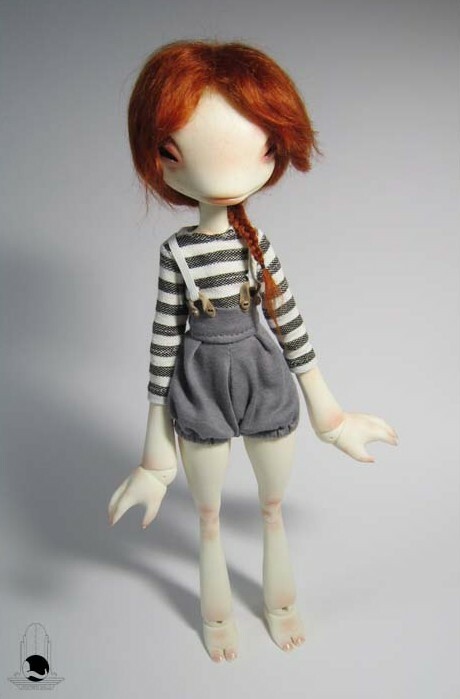 Where and how can i buy one of your dolls or one of your creations ? I sell my dolls and creations during events as the Ldoll festival in Lyon (France) or the Paris Fashion Doll in Paris (France), during a pre-order period, as part of made to order request or on my Etsy shop. For more informations about it, please don’t hesitate to check the “how to buy” page. What is a pre-order period ? 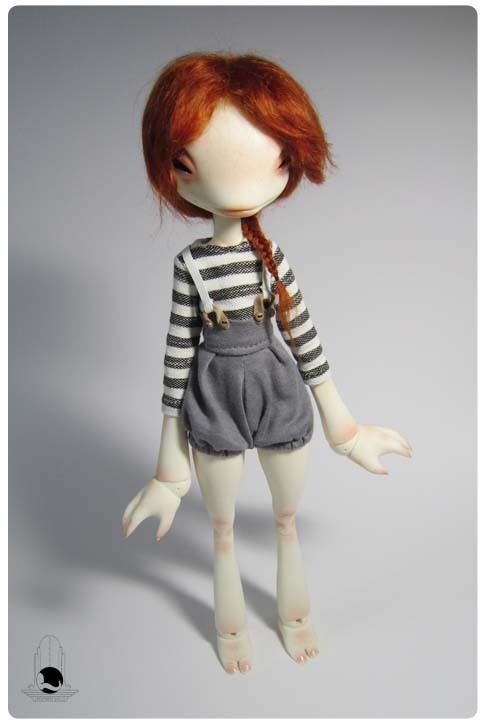 The pre-order period is your chance to get one of my BJD. It’s a period during which you can book a place for a BJD. For exemple, after a festival, i often decide to open a pre-order for a few dolls (date and hour choosen by me) : it allows me to have a better organisation in my schedule and production. Once the number of people is reached, i close the pre-order and begin to work on the ordered dolls. Aside from pre-orders periods, i also take orders for customised sculptures only (you can contact me by email). Why do you offer a few number of dolls for sale ? My particular status doesn’t allow me to sell dolls in big quantities : my production is limited. My korean partner can not produce in high quantities, that’s why pre orders can not exceed 25 or 30 dolls. What’s more, after each pre order, i receive the dolls with my prototype that i have to fix (sand, fix parts, put primer etc) and to send again for molding, so that takes sometimes a few months depending on what i work on… ! Will your doll called Bactro be released soon or not ? I’m affraid not, i’m so sorry but the molds are getting old now and i don’t have time enough to make more Bactro. I moved on to new dolls, new projects, i have to make different things. If there is something new about this, don’t worry, i’ll inform people on my blog or site. Do you take customised orders ? Yes, only for unique sculptures or small creatures, not BJDs. It depends on the subject or the level of difficulty. If you have something to suggest, don’t hesitate to contact me by email. Where did you find the clothes for your different creations and dolls ? I created some of them, but when i’m unable to make exactly what i want, i can call on seamstress’s talents as Cachoou Couture who made the nice outfits for Feldspathe and Ambroise or Plume Blanche Créations who made the beautiful green xb12 dress.